Thank you to all those who attended the live webinar! If you weren’t able to join the live event, a webinar on-demand recording will be made available soon. You can then listen to our interdisciplinary panel discuss how good communication and collaborative care between health professionals can help patients get the most out of psychological treatment of anxiety disorders. It is recommended that 1 CPD hour be recorded for the purpose of self-directed CPD. Early recognition, assessment and diagnosis is important for good management and contributes to speedier treatment and improvement in the lives of people with anxiety disorders. Psychological treatment has a key role to play in the management of anxiety disorders, and a collaborative approach between health professionals can result in increased engagement and persistence with treatment, and better outcomes for the patient. Recognition and assessment of anxiety symptoms, including impact and severity, to assist in appropriate management and referral. Evidence-based psychological treatments such as cognitive behavioural therapy, and their role for people with anxiety. How to engage people with anxiety in psychological treatments and discuss realistic expectations about treatment. When medicines may be indicated and how they may be used with psychological treatment. Craske & Stein. Anxiety. Lancet 2016;388:3048-59. Orman & O’dea. E-therapy in primary care mental health. AJGP 2018; 47(4). NPS MedicineWise Patient Decision Aid – Treating anxiety disorders: what are the options? The management of anxiety disorders calls for a holistic and collaborative approach between the patient, their GP and other health professionals. For this webinar we have brought together a panel that includes a GP, a psychiatrist and a psychologist. 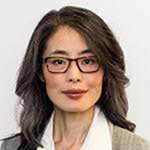 Jeannie Yoo is a GP and medical advisor who brings a real-world GP perspective to NPS MedicineWise’s educational and primary care data activities. Before joining NPS MedicineWise, she combined her clinical work with roles in the digital health and medical publishing sectors. She has a strong interest in high quality clinical care, and the potential of innovation to improve healthcare outcomes. She remains active in general practice and has postgraduate qualifications in health ethics. 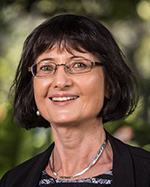 Lisa Lampe is a Staff Specialist Psychiatrist and a member of the team providing postgraduate training for Royal Australian and New Zealand College of Psychiatrists (RANZCP) psychiatry trainees in the Hunter New England Local Health District. She is the academic Lead for Psychiatry in the School of Medicine and Public Health, University of Newcastle. Lisa is a member of the RANZCP Anxiety Disorders Working group, which produced the recent clinical practice guidelines for the treatment of adults with panic disorder, social anxiety disorder and generalised anxiety disorder. She has written several texts and self-help books on anxiety. Louise Stone is a GP and medical educator with a clinical, research, education and policy interest in mental health. Her PhD explored the way GPs assess and manage patients with medically unexplained symptoms. 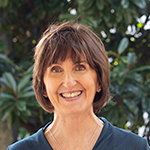 Louise is Specialist Lead (Rural and Remote Practice) for mental health at HETI Higher Education, and Clinical Associate Professor at the Academic Unit of General Practice at the Australian National University medical school. Sarah Edelman is a clinical psychologist, best-selling author and presenter currently working in private practice and providing training for the Black Dog Institute, Australian Psychological Society and Sydney University Centre for Continuing Education. 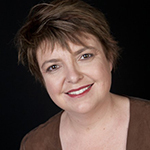 Sarah has previously worked as a researcher and lecturer at the Health Psychology Unit, University of Technology Sydney, has published journal articles and books on psychological approaches for consumers, and is a frequent guest on ABC radio. Review your assessment of anxiety symptoms, diagnosis of anxiety disorders and selection of evidence-based treatment options.